Summer is creeping up on us and I’ve got an arsenal of salad recipes to share. For me, a salad doesn’t necessarily mean “lettuce” and I often find myself throwing different pantry items together, tossing with a bit of dressing, and calling it a salad. I made this before I left my parents’ house out of odds and ends my mother wanted to use up. Like I say in the recipe, this salad has some really loose measurements and can be adapted based on your taste. 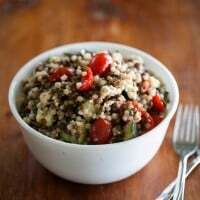 I like using the pearl couscous because it gives it that slight pasta salad feel but pairs really well with the lentils. So, get your salad on- in any form it may be! This salad is a very loose recipe. You can add more or less of anything you want. I also suggest buying a good balsamic vinegar- it will go along way with taste! Rinse lentils, cover with water, and bring to a boil. Reduce heat slightly and continue to cook the lentils at a rapid simmer for 20-30 minutes. Lentils should be tender. Rinse under cold water and set aside. 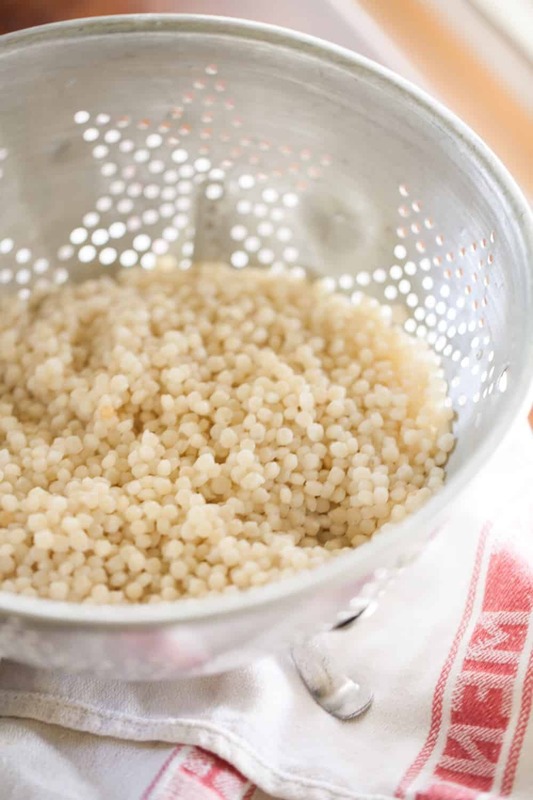 While lentils are cooking, bring pot of water to a boil and add couscous. Cook until tender, 7-10 minutes. Remove from heat and rinse as well. Both lentils and couscous should be slightly cool. 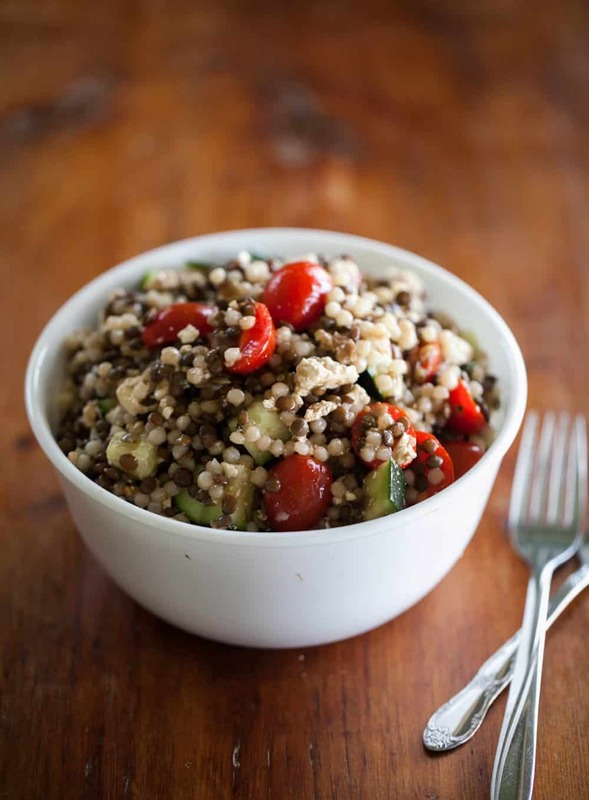 In a large bowl combine lentils, couscous, cherry tomatoes (sliced in half), cucumber (cut into chunks), and diced green onion. SHake together oil, vinegar, and honey. Pour over salad and toss. Finally, crumble two ounces of feta over the salad and stir in. If you like a heavier amount of cheese, add more. This looks so lovely! I love a quick salad like this during the week when time can be an issue. Great recipe! 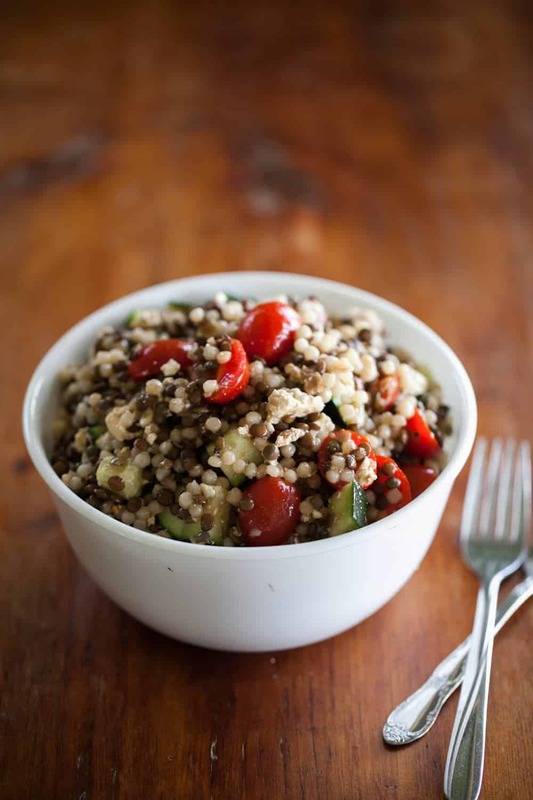 I think I will try this but sub the couscous with quinoa. Been in a Peruvian frame of thought lately. This looks lovely, and something that the summer heat will enjoy! Yum! I’ll have to try this! 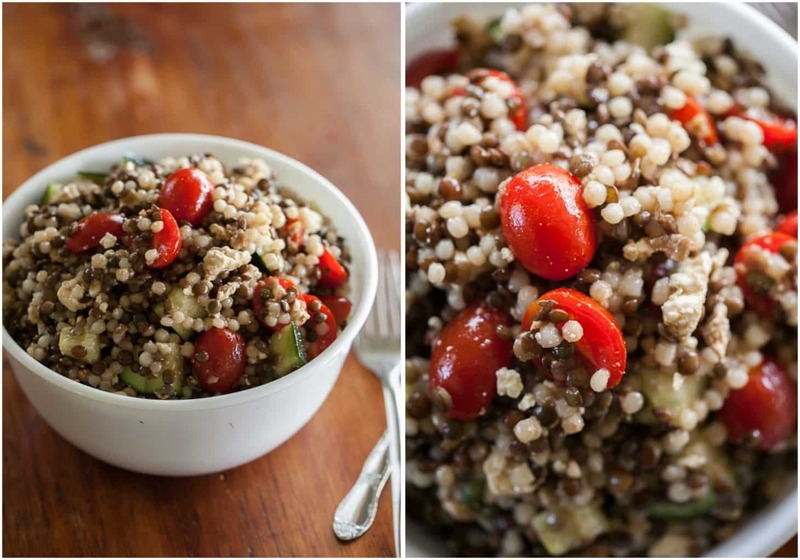 I am a huge lentil and couscous fan, so I will love this! Perfect for summer! Do you think it would do okay without the feta or is that a necessity in this recipe? I made almost the exact same salad this weekend. It was amazing!